Compact, cultural and packed with history, Nottingham is easy to explore in a day, however a two-day stay will allow you enjoy the majority of the city’s hidden gems, plus its well-known, fantastic museums, galleries, pubs and restaurants. This useful trail gives you a handy list with everything you need to plan your trip, including travel times, addresses, and links to the listing pages to find out more about the attractions. To begin creating your itinerary, click the 'Add All Items to Itinerary' button and from there, you can either keep all the destinations in the pre-prepared list, or amend the itinerary by clicking on the places you are interested in. You can then rename, email, or print the list so it’s always to hand. You can also save your itinerary to view on your mobile phone and tablet. Start your day right with a hearty breakfast by heading to Hartleys Coffee & Sandwich Bar. A great spot in the heart of Hockley – particularly if you enjoy watching the world go by – this independent café serves up classic full English breakfasts, smoothies, sandwiches, great coffee and milkshakes, with lots of specific dietary requirements catered for. Take a walk through the historic Lace Market, passing the Grade 1 Listed St Mary’s Church, which is the largest remaining medieval building in the city. The Church is generally open to welcome visitors between 10am and 3pm Monday to Saturday, and for morning and evening services on Sunday, so pop inside if you can! Head across the road to the National Justice Museum where you’ll meet characters from the past telling stories of life behind bars. Across five floors, explore medieval dungeons, Georgian cells and Victorian courtrooms in an 800-year journey through time. You can also be put on trial, browse exhibitions and check out their varied events programme. Treat yourself to an exquisite lunch at Thea Caffea, a delightful tea room hidden from the busy bustle in a courtyard just next to the Broadmarsh Shopping Centre. We recommend Thea Caffea’s Vintage Afternoon Tea – champagne option available – served on a china cake stand and packed with freshly baked scones, finger sandwiches, and a selection of cakes. Two very different, but equally fascinating attractions await nearby. Both could easily be fitted into a single day, but one can be chosen for a more leisurely pace. The City of Caves is located in Broadmarsh Centre and delves into Nottingham’s curious subterranean landscape which boasts over 800 caves! Go on a self-guided audio tour and learn about the previous purposes of Nottingham’s caves and their use during WWII. Don’t forget to pick up a joint ticket to the National Justice Museum and City of Caves and save 20%. An alternative choice to visit is Nottingham Contemporary, which is one of the largest galleries of contemporary art in the UK and features work by international artists. Entry is free, the shop holds some brilliant gifts and the exhibitions change every three months, meaning this is somewhere to visit again and again. Next, take a walk to Nottingham’s Old Market Square to check out the famous lions that wait by the Council House. Here you can also find a statue of the local and national football hero Brian Clough at Speakers Corner, and the Nottingham Tourism Centre if there are any questions you might have. Markets and events take place in the square regularly, with a beach transformation in the summer and a magical Winter Wonderland over Christmas. As the evening draws in, take a walk over to the Castle Quarter to have your photo taken with a statue of our famous outlaw, Robin Hood. Nottingham Castle is closed until 2020 to undergo a brilliant regeneration, but there are more historical sights nearby. You really can’t come to Nottingham without visiting Ye Olde Trip to Jerusalem. Reportedly the oldest pub in the country, this historic gem is carved into the cliff on which Nottingham Castle stands, and is packed with historic images, artefacts and curiosities. It’s also a lovely spot to eat a delicious pub dinner, choose one of the cosy nooks to dine in, or enjoy the view from the spacious beer garden. To top your evening off, why not check out what’s on at Nottingham Playhouse? One of the UK’s leading producing theatres since its foundation in 1948, their programme features original shows and touring classics to enjoy. Don’t forget to snap a photograph of Anish Kapoor’s wonderful Sky Mirror before you leave! Looking for a nightcap? Head to Revolución De Cuba for late night cocktails, dancing, and live music on selected nights! Banish morning hunger with a deliciously filling breakfast at Annie’s Burger Shack in the Lace Market. With a huge variety, the menu includes delights such as buttermilk pancakes, breakfast burritos, sweet potato and beetroot hash, or yoghurt and fruit, and everything can be adapted to vegetarian or vegan. Next we suggest taking a wander around Delilah, Nottingham’s award-winning independent deli, to pick up some picnic snacks for your next adventure! Indulge in the ‘try-before-you-buy’ policy and choose from a fantastic selection of cheeses, chutneys, meats and even wine made right here in the East Midlands. Next on the list is the grand Elizabethan mansion Wollaton Hall, which is set in 500 acres of beautiful parkland, complete with a lake, botanical gardens and roaming deer. The building is free admission and holds Nottingham’s Natural History Museum where you can check out items from its extensive zoology, geology, and botany collections. Over the weekends visit Nottingham Industrial Museum, which is located in the 17th century stable block next door. It is just £3 to enter and has five galleries each relating to a key Nottinghamshire industry: textiles, transport, communication, mining and power, with many wonderful artefacts to see. Please note: Wollaton Hall is not walking distance from the city centre, but you can get there easily by bus. Take the NCT Orange Line bus Number 36 from Angel Row and you'll be dropped off at one of the gates to Wollaton Park. It will then take you around 13 minutes to walk to the hall as you take in the beautiful scenery of the park. You can buy a 24hr return ticket from the bus driver but make sure you have the exact amount for your ticket ready (£3.80 adult, £2.50 under 19) as drivers don't give out change. 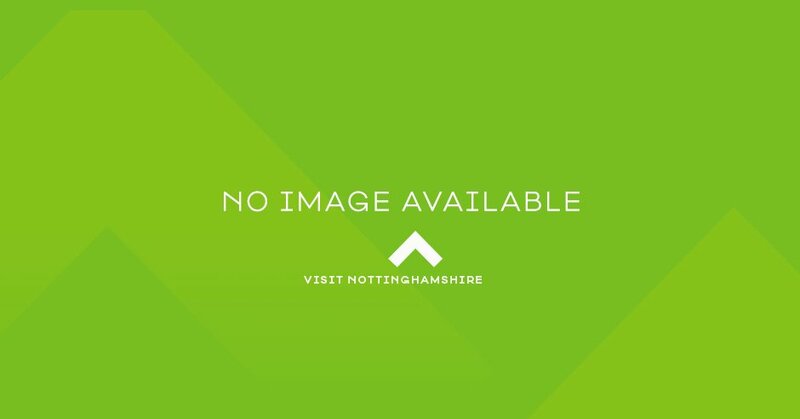 You can easily spend a good few hours at Wollaton Hall and Park, but should you fancy wandering further afield you can walk to Nottingham Lakeside Arts and Highfields Boating Lake and Park in less than 30 minutes. Rent a boat or pedalo for between £5 - £10, while the gallery is free to enter and has regular exhibitions. You can use your 24hr return ticket to get back to Nottingham by catching the NCT Orange Line bus Number 34 from behind the gallery, or alternatively buy a new ticket and catch the tram from outside the park. Back in the city centre, if you’re staying for the evening you’ll no doubt be wanting some delicious food. Treat yourself to the intense flavours and lively atmosphere of Bar Iberico. In its two short years this tapas bar has stacked up numerous foodie awards, and its brilliant location in the centre of Hockley is perfect for people watching and sipping sangria whilst enjoying their alfresco seating area. To finish your evening, check out our What’s On listings for a vibrant programme of events at the city’s pubs, bars, and attractions. Alternatively, head to the Lost City Adventure Golf, a state-of-the-art adventure golf complex deep beneath the Corner House where you can also enjoy a cocktail in their Tiki bar, or take a wander to Broadway Cinema in Hockley before exploring the variety of vibrant bars and pubs in the area.